I acknowledge my academic position is held at the University of Toronto. Toronto (from the Haudenosaunee word Tkaronto) is the home to many Indigenous people from across Turtle Island and I am grateful to have the opportunity to work in this territory. 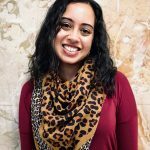 My unique dual training in qualitative and quantitative research methods enables me to study the social determinants and lived experiences of diabetes among South Asian migrant communities living in Canada and design health promotion programs for this high-risk ethnic population. The focus of my public health research exemplifies my commitment to providing a strong foundation in methodology guided by principles of the socio-ecological framework, intersectionality, community-based participatory research and cultural safety. Banerjee, A.T., Shah, B. Differences in Prevalence of Diabetes among Immigrants from South Asian Countries. (2018). Diabetic Medicine,35(7), 937-943. Banerjee, A.T., Zawi M., Landry M., Childerhose, D., Stephens, N., Shafique, A., & Price, J. (2017). A Pilot Examination of a Mosque-Based Physical Activity Intervention for South Asian Muslim Women in Ontario, Canada. Journal of Immigrant & Minority Health, 19(2), 349-357. Banerjee, A.T., Strachan, P., Boyle, M., Anand, S., & Oremus, M. (2015). Factors To Facilitate The Implementation Of Church-Based Health Promotion Programs in Canada: A Qualitative Study. American Journal of Health Promotion, 29(6), 365-373.